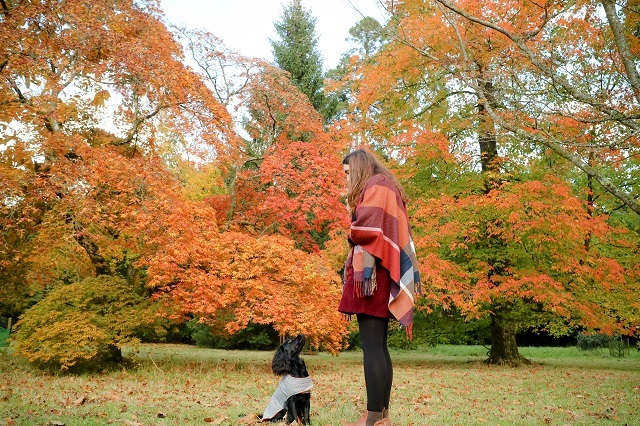 Autumn is out favourite time of year, the leaves go crispy, the colours of the trees become magical and it's a great time to cosy up after a lovely dog walk. 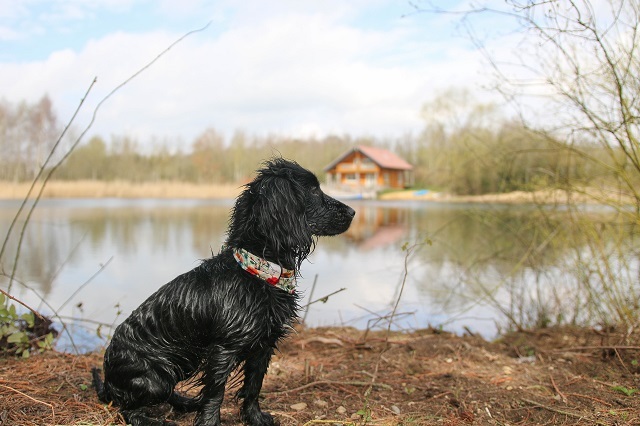 You all know that dog friendly travel and trips is our passion, but it's actually Autumn trips we love the most. It's always a little more quieter, always a little more cheaper and our Country is just so bloody pretty in Autumn too. There's nothing we love more than enjoying a dog walk, before opening a bottle of wine in front of the log burner. Woodland and Autumn just kind of go hand in hand, don't they? Woodland walks are a favourite any time of year, but in Autumn it's just perfect. 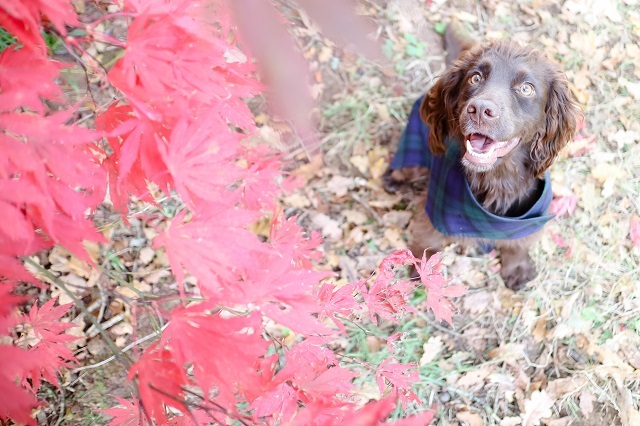 With the orange hues of the trees and the leaves crunching under the dogs paws, we could walk, play and enjoy a woodland walk everyday through Autumn. 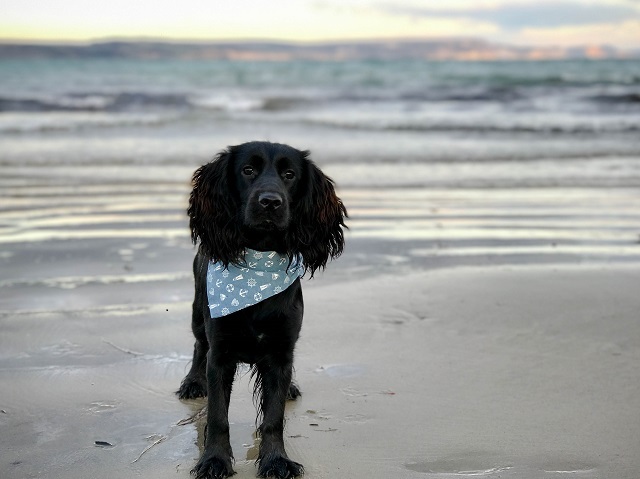 Another past time we love all year around, but come Autumn most beaches are opened up to dogs, meaning it all feels a lot more dog friendly. Find the right beach in Autumn, and it could just be you and the pooch, nothing more perfect than a relaxing walk by the seaside. The beach always feels so special every time of year. A new one from last year, but it's lots of fun. Pumpkins are Autumn are the perfect partnership. 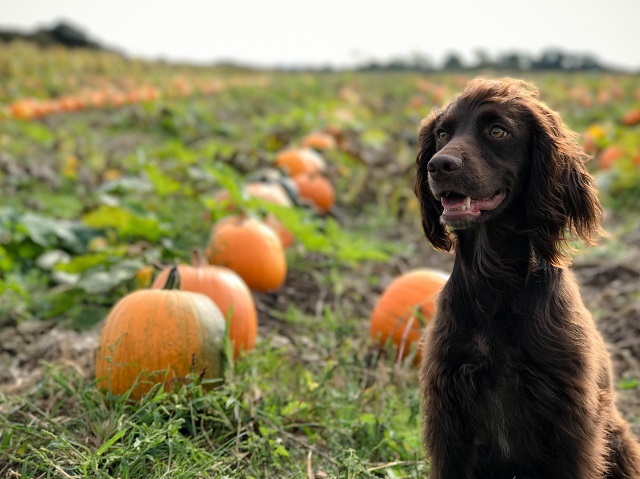 Take the dogs along to Pick your own pumpkins, run down the rows of orange goodness and even pose for a few photos.....because you just kinda have to. Having pumpkins big and small around the house makes it feel even more cosy and Autumnal, decorating seasonal really gets you into the love of Autumn even more. Sev and Lily have some wonderful dog friends that we love to meet up with and walk with, always trying to make a date of it. Finding a new pet shop, dog friendly cafe or just exploring a new walk is always the best with friends. 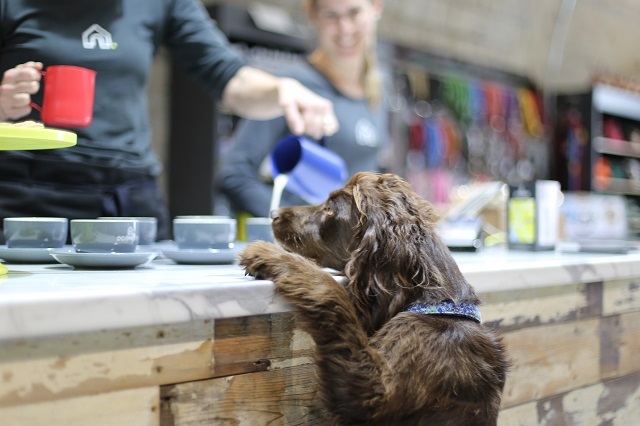 We're currently loving taking our pals [human and hound] to Dog House, where they not only cater for our coffee's but do special ones for the pooches too.